And so the age-old debate rears its head once again – just what is the best Christmas song ever? As The Beach Boys once sang in their wonderful Little Saint Nick, ‘Christmas comes this time each year’, and they weren’t wrong. Christmas does come at the same time each year. But so does the argument over the definitive festive tune. Amazingly, Brian Wilson and his brothers didn’t make it in the top ten of a recent poll of the best Christmas songs of all time, which is crime in my opinion. So what did come out on top? Well, if you’ve read the headline, you’ll know it’s Fairytale of New York by The Pogues and Kirsty MacColl. You may groan, you’ve probably heard it a thousand times this year already, but you’ve got to admit – it’s an absolute stonker of a Christmas song. 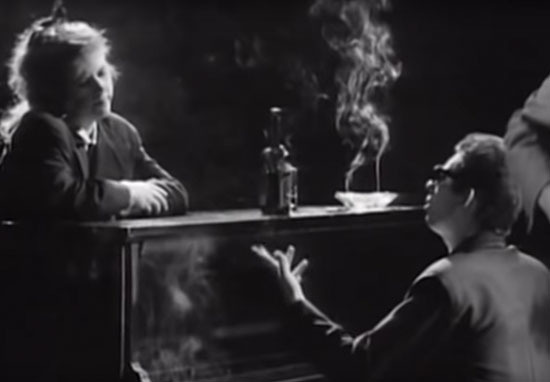 The tune, penned by Shane MacGowan and the band’s banjo player Jim Finer, ranked above Mariah Carey’s All I Want For Christmas Is You and Wham’s Last Christmas. It also managed to top the various versions of Band Aid’s Do They Know It’s Christmas, the original of which took fourth spot. The news comes as frontman Shane MacGowan tied the knot to his partner of 32 years this week. The 60-year-old wed journalist Victoria Mary Clarke at a small ceremony in Copenhagen on Monday with Johnny Depp reportedly playing the guitar at the ceremony. Research, commissioned to coincide with the Magic Radio ’12 songs of Christmas’ list, found that for nearly half of Brits, Christmas music is most likely to put them in a festive mood. A quarter of adults felt seeing Christmas decorations go up helped aid festive cheer, while Christmas shopping came in at third place with 18 per cent. When it comes to putting people in the Christmas spirit, music is king. And it’s no wonder that more people are turning to music to bring them festive cheer. It’s the ultimate escapism in another year of uncertain times and bad news. With Christmas bringing loved ones together, there’s no better time to put music on and relax into that Christmassy feeling. The poll also found the festive period was the most anticipated time of the year, with 69 per cent of adults looking forward to Christmas more than New Year and summer bank holidays. Spending time with loved ones was also deemed the most important part of Christmas for 60 per cent of adults, while the Christmas party comes bottom of the list, with just two per cent of adults looking forward to the annual do. Meanwhile, Magic Radio have announced plans to switch their playlist to 100 per cent Christmas, with non-stop Christmas songs all the way up to Boxing Day. Do you agree? Or do you think this interesting take on a Christmas tune should be up there?